So, you’ve decided to use Zip Schedules, the web-based work schedule maker and shift planner, and we want to congratulate you on making such a great decision for your team. Now that you’ve made the leap, we want to give you some tips and tricks for working with our product. First, you need to sign up for an account. To sign up for a Zip Schedules account, simply enter your email address, or use your Facebook or Google+ profile to log in. Next, you’ll work through 3 steps in the start-up wizard. You will be asked to input. Brief details about your organization, such as name, address, locations. Labor laws, specified to your state, like minor laws and daily overtime limits. Employees’ names, job titles, contact information, privacy preferences, and whether or not they are under 18. Now, you’re ready to begin scheduling. 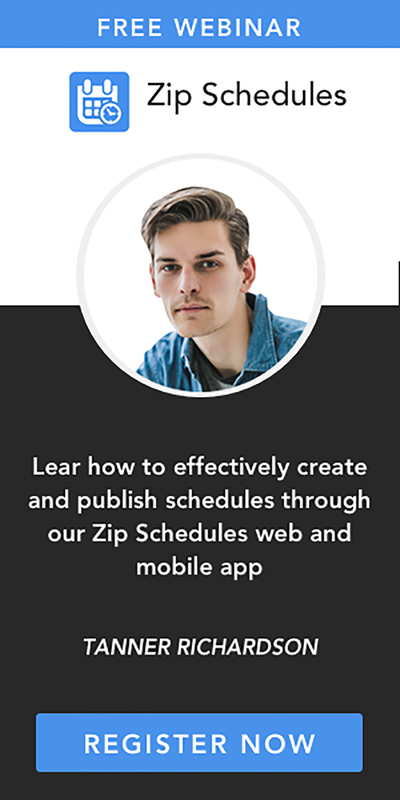 Zip Schedules’ drag and drop capabilities make scheduling easy. Simply choose the shift you would like to assign to each employee. Then, by simply holding down the CTRL key, you can copy the same shift and assign it to that same employee or assign it to another employee later in the week. As an example, a bussing shift from 5pm-close will be a saved shift and can be assigned to any eligible employees. You can view schedules by day, week or month. If there are no big changes in scheduling from week to week, there is no need to start from scratch. Simply copy the previous week’s schedule and make any necessary tweaks. 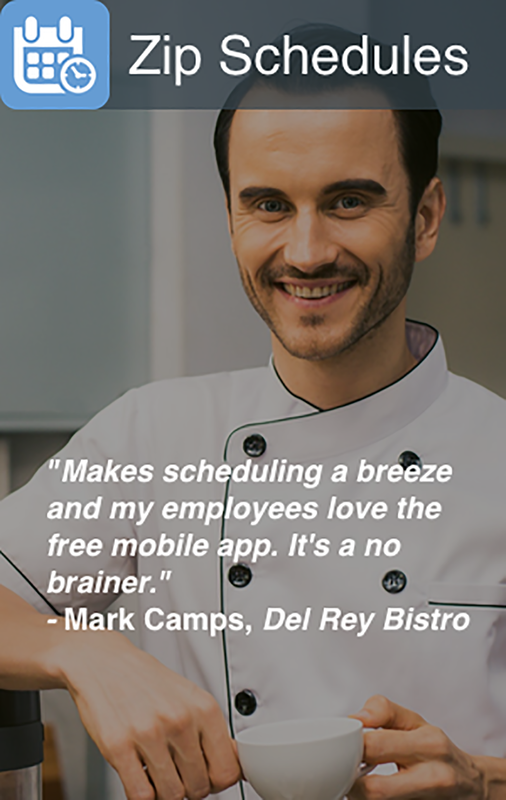 Employees, tech-savvy or not, download the free Zip Schedules app on their mobile devices. From their smartphones, or tablets, they can access the Team Center, the heart of Zip Schedules, where they can view their schedule, request time off, change availability, and communicate with coworkers and management. If an employee offers a shift to a coworker, you can see the swap, and approve it, all from the app.